This Pirate was made for sitting! Perfect for Nautical and Halloween themes, this Pirate also makes a wonderful edition to any event or party. 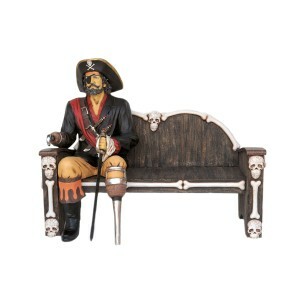 It is shown sitting on the Pirate Bench (WL-PRT-BENCH) and is UV stabilized, rated for indoor and outdoor use. An amazing piece for photo-ops in public gatherings, or for "selfies" in a variety of settings! Every person will awe at the authenticity and style of this piece.